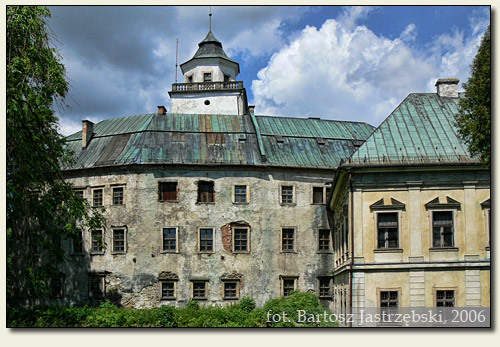 State of preservation: The castle has preserved as the whole. One wing is utilized as a hotel, while the remaining part is in ruin. Driving from Bystrzyca Kłodzka southwards, along the road no 33 for Boboszów, you cross Międzylesie. There at the market square the castle stands on the right side of a road no 33. Międzylesie appears for the first time in historical sources from 1294. A brick castle was raised probably about the middle of the XIVth cent. by the family of Glubos (von Glaubus or von Glaubitz), however the sources mention it just a few dozen years later. There exists, however a theory linking Jan Luksemburski with the building of the castle. 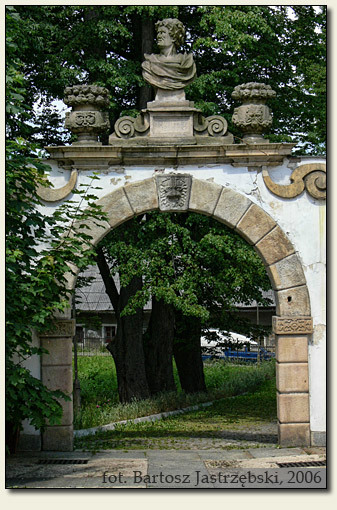 From the beginning of its existence the stronghold was a private property. 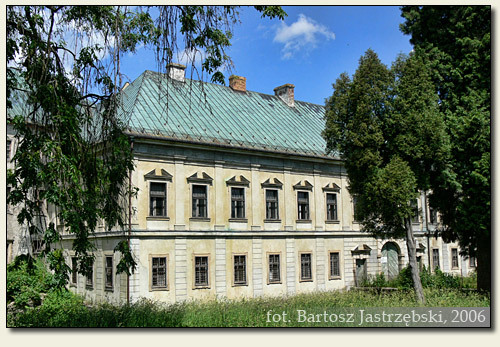 In 1421 the castle became a base of dukes of Głogów for their crusades to the Bohemia. 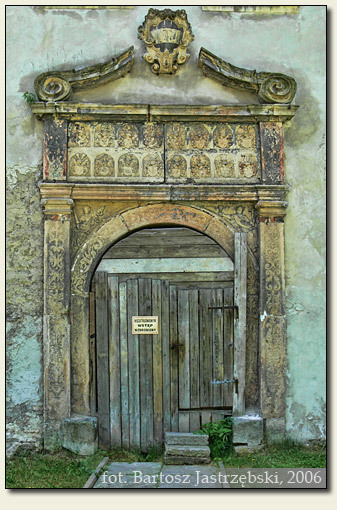 The stronghold was destroyed by the Hussites 7 years later, and in 1472 – became the property of Michał and Dawid von Tschirnhaus. 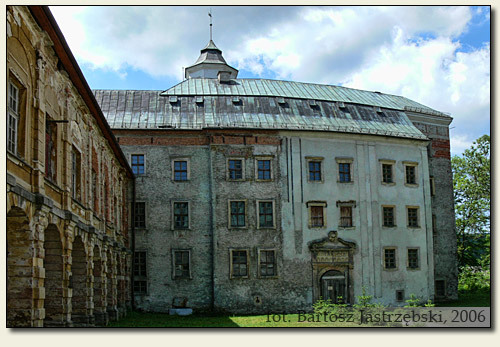 They transformed the remainders of the castle into a renaissance mansion, which existed for almost 200 years. In the middle of the Thirty Years’ War the building was destroyed again, and in 1653 – purchased by a count Michael Ferdynand von Althann. The family of Althann converted the remainders of a former mansion into a baroque palace, which has survived until today, while in hands of the house it remained till 1945.